In 1935, with the storm clouds of war gathering over Europe, Adolf Hitler announced his plans to reconstitute Germany’s Air Force and officially created the Luftwaffe. The German Air Ministry (Reichs-Luftfahrtministerium), who were responsible for aircraft production, began to design a suitable timepiece for its bomber navigators. 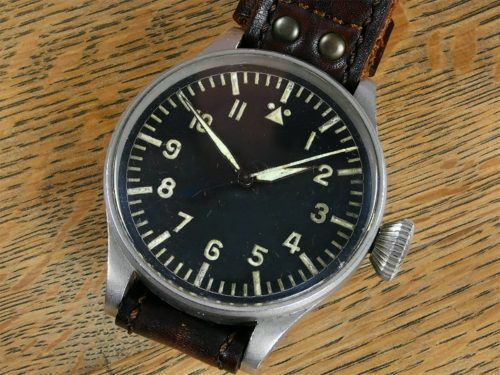 Pilots required extremely accurate watches for navigational purposes. The watches needed to be precise, robust and easily read. 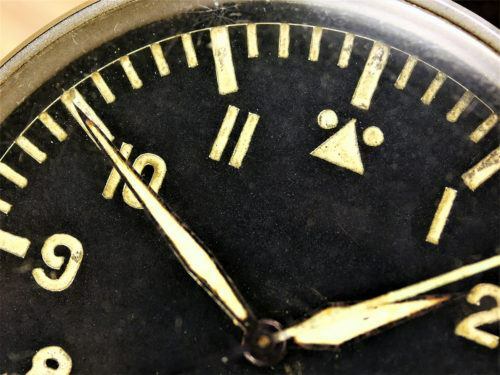 This led to the iconic B-Uhr design being conceived. These watches were very large in size (55mm) and were made to a standard specification. 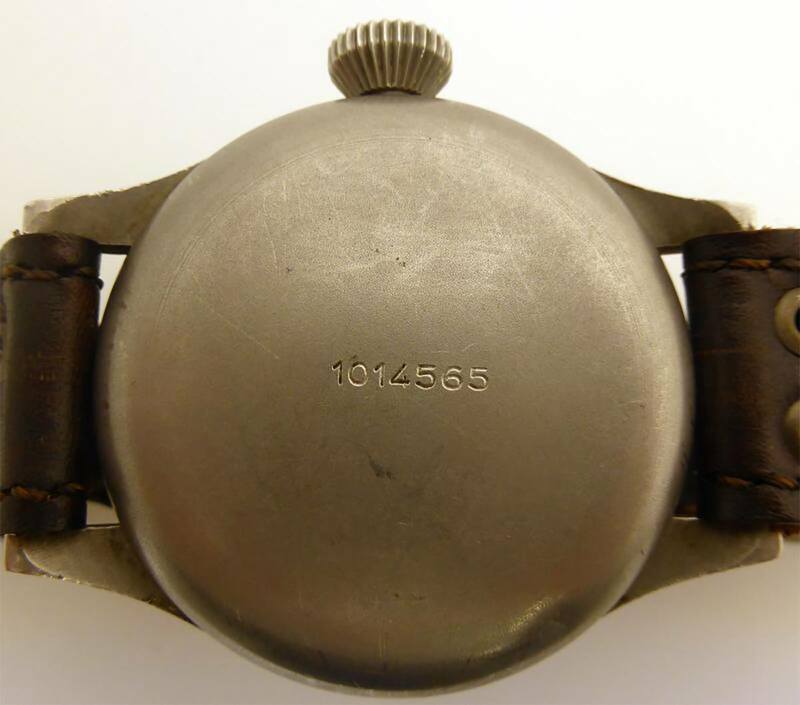 The movements were uniformly cased in a grey varnished, brass or steel housing with a snap on back cover. The dial faces were black with large luminous Arabic numerals and minute and second indicators. The hands were coated with radium so the watch would glow in the dark. 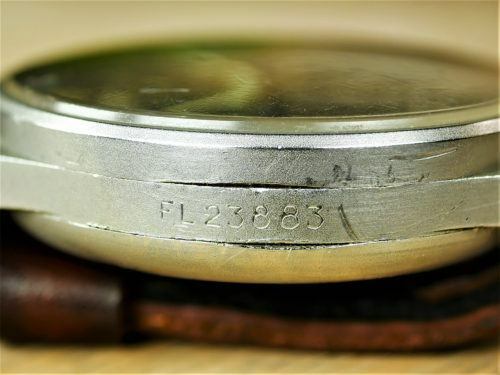 The outer casing had FL23883 engraved on the left hand side. 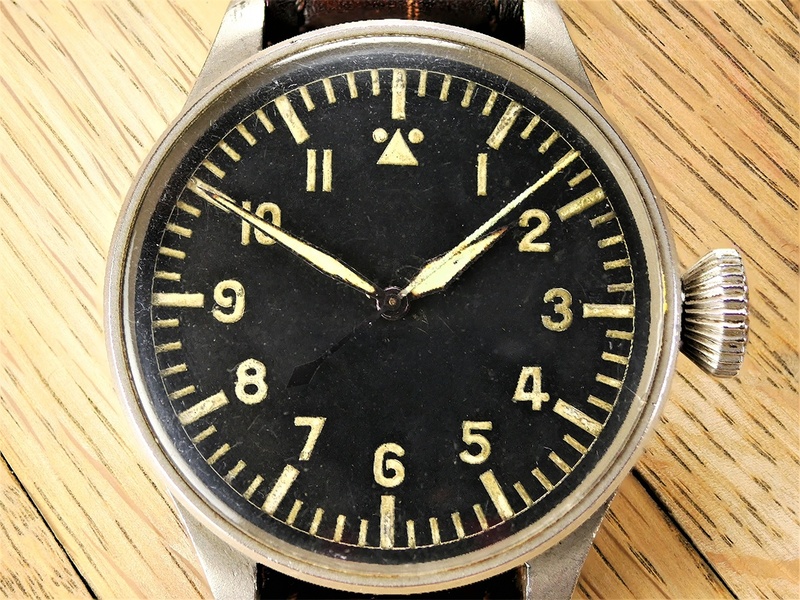 FL designated flieger, and 23 identified the watch as a navigation watch. There were five manufacturers who supplied the B-Uhren. 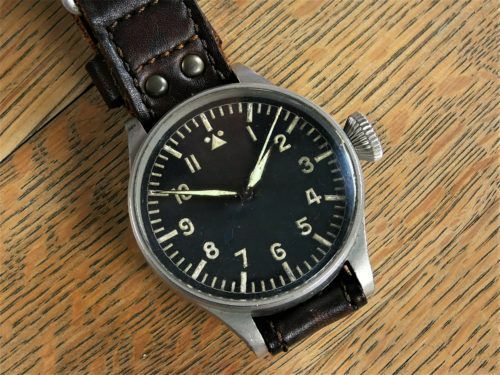 The four German makers were A.Lange & Sohne, Wempe, Laco and Stowa The fifth maker was the Swiss International Watch Company (IWC), who supplied watches to both Axis and Allied forces throughout the war. These watches were not actually issued personally to aircrew in the usual sense. 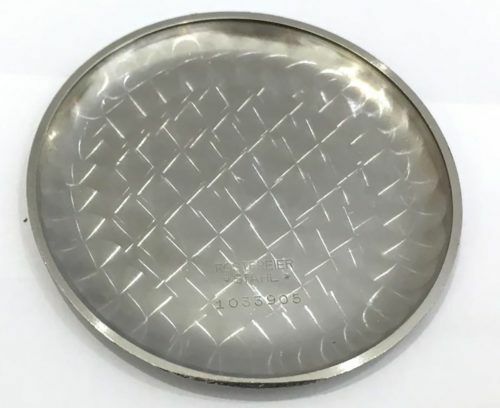 Instead one was supplied to the navigator of the bomber crew before every mission or raid. It would then be returned to the stores following their return. The IWC B-Uhr is considered to be the rarest and most highly prized of all the B-Uhren. IWC only produced 1,000 of these watches, which were shipped to IWC’s Berlin agent, Siegfried Heindorf, in 1940. Due to the heavy losses sustained by the Luftwaffe during the Battle of Britain, it is assumed that very few IWC B-Uhr survived the war. 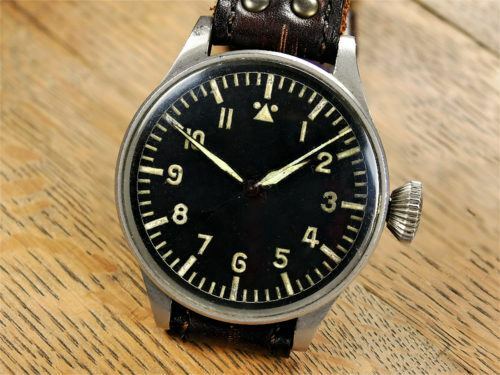 The IWC B-Uhr is a true rarity with huge significance to both watch collectors and military enthusiasts alike. The IWC B-Uhr for sale is in remarkable overall condition and is one of the very best examples you could ever hope to find. 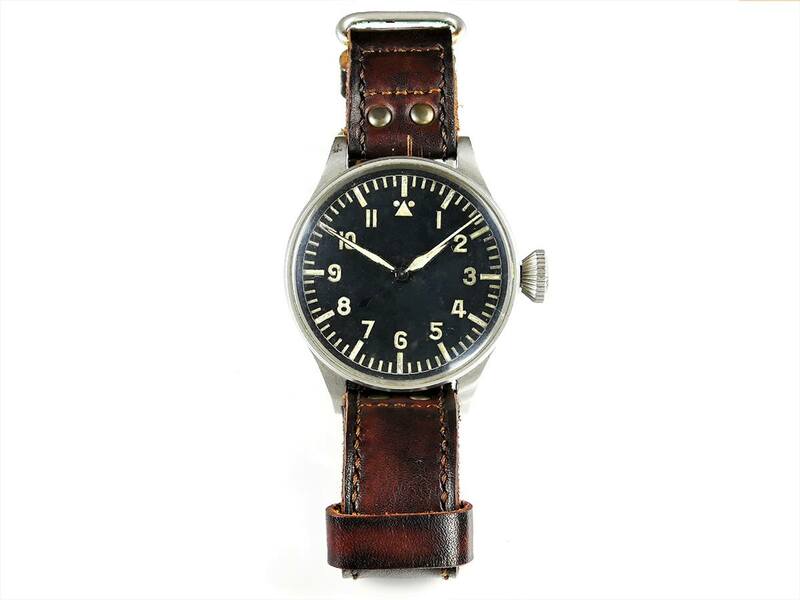 The case, dial, hands and crown are all original and are in excellent condition. The glass is in good condition with one or two minor imperfections here and there. 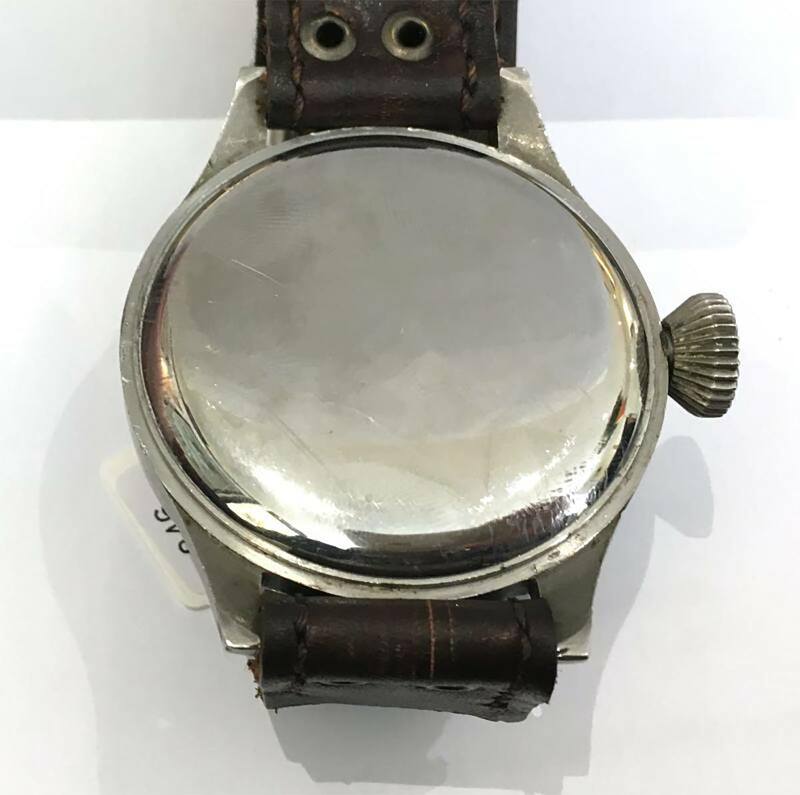 As expected, there are a number of fairly minor scratches and marks to the outer casing of the watch. 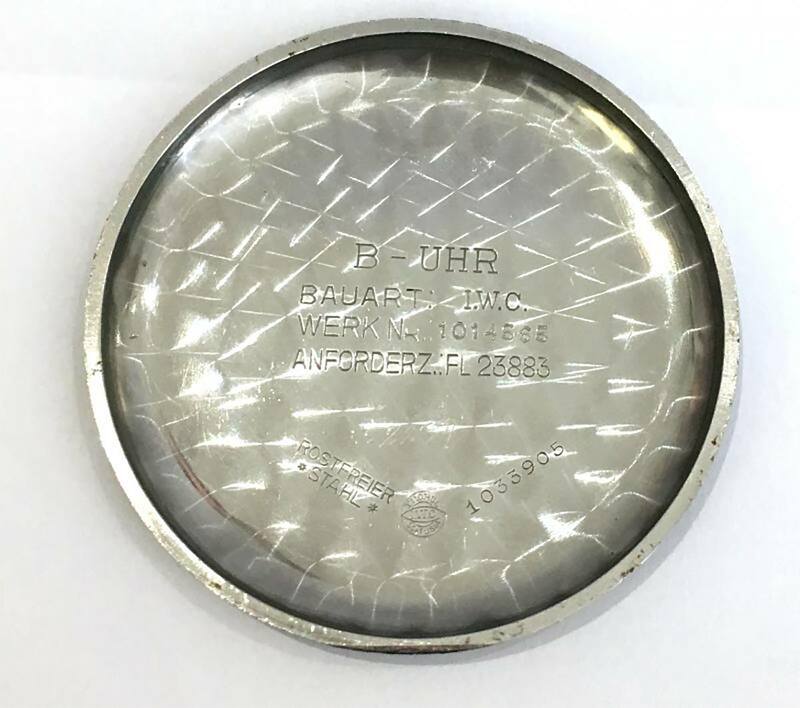 All the correct markings are present on both the outer and inner casing. 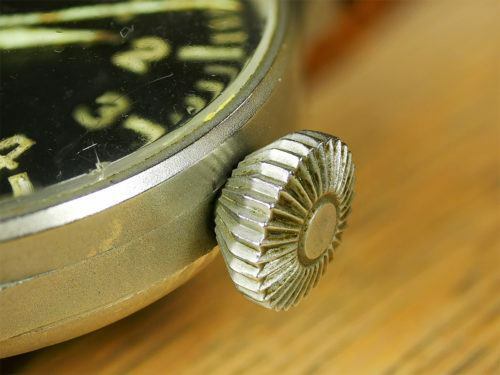 The watch retains its original cuvette dust cover, which are often lost over the years. 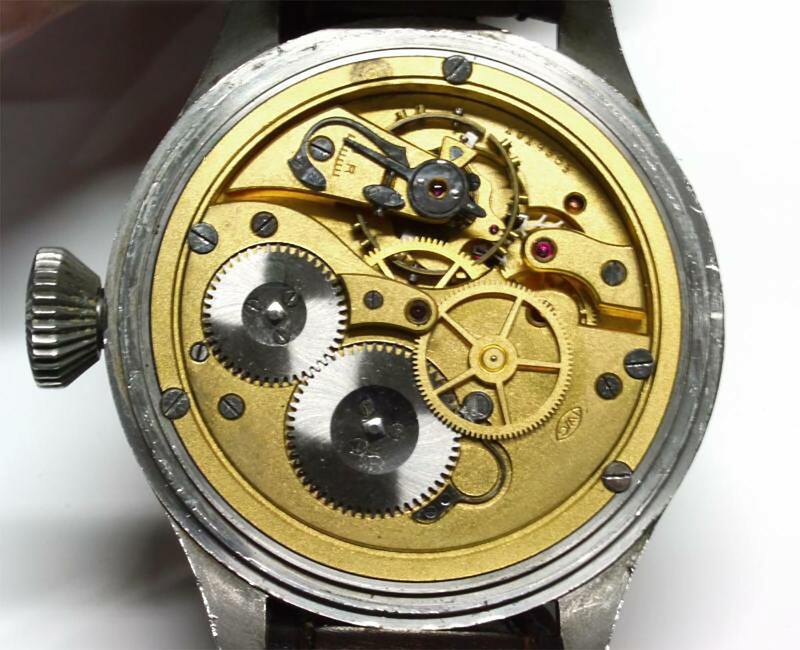 Movement numbers on these watches ranged from 101 3801 to 101 4800 and the case numbers between 103 3201 and 103 4200. This particular watch movement number is 101 4565 and its case number is 103 3905. The very fine IWC 52 calibre movement is in excellent condition and running extremely well. 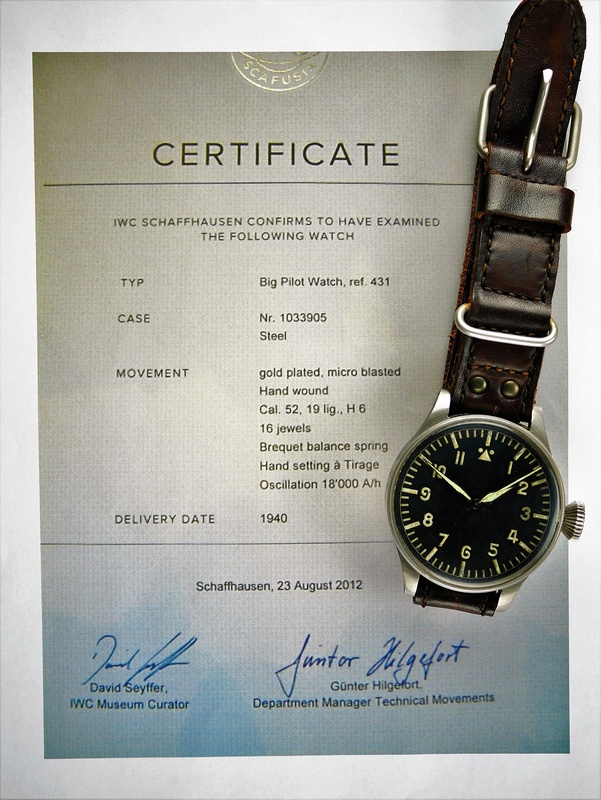 Remarkably, the watch was examined by IWC themselves at their Museum in Schaffhausen in 2012. 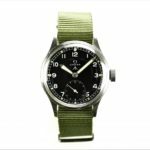 They certified the watch as being completely genuine and correct and awarded it with a Certificate of Authenticity. A copy of the certificate is included in the sale which provides the watch with some superb and valuable provenance. 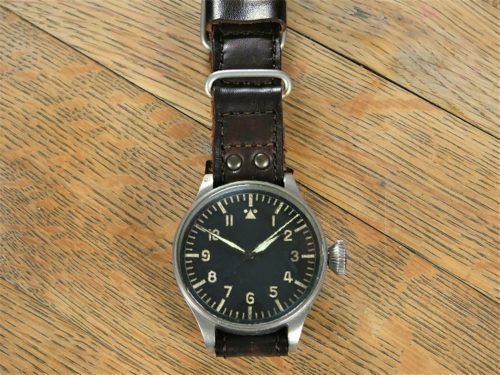 The watch comes newly serviced by Andy Leftley of Time World Services, who is one of the UK’s leading specialists in German military timepieces. 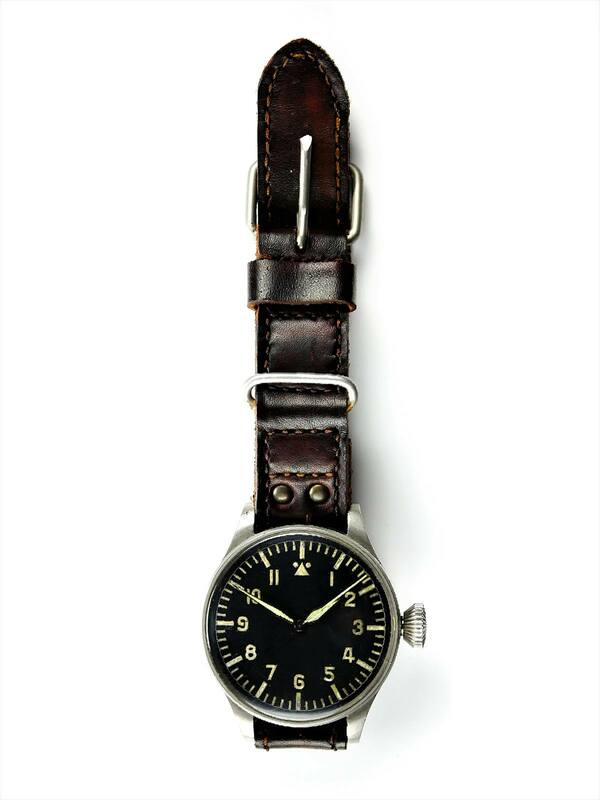 The watch also comes complete on a beautiful over-sized custom made leather strap with a free six-month warranty.